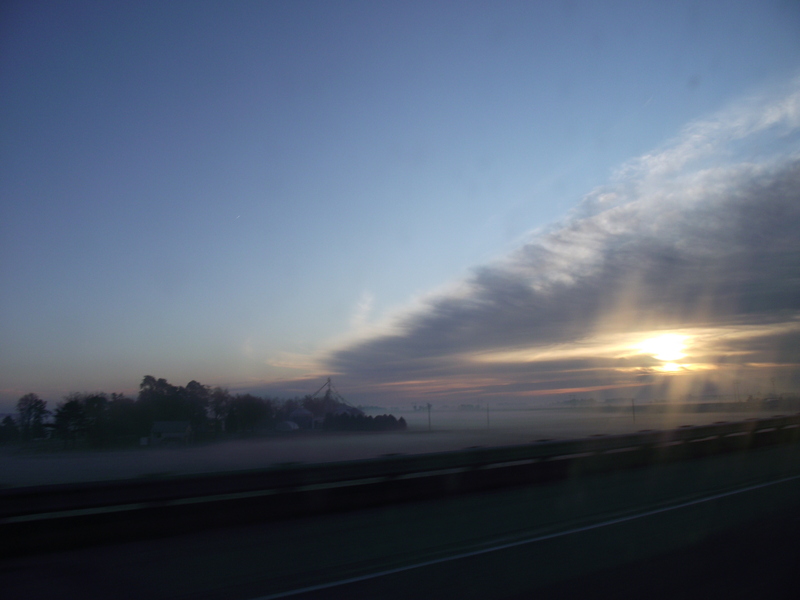 Driving home from a recent trip, I caught this "Diagonal Sunrise" through the car window! I love all of the glowing mist and the rays of sunshine in this photograph. I also love the angles. You are amazing! that is so cool! i like your pictures! they are REALLY AMAZING!